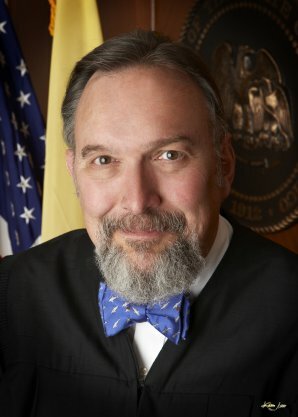 Judge Roderick Kennedy will be sworn in tomorrow as the 21st Chief Judge of the New Mexico Court of Appeals. Kennedy is replacing Chief Judge Celia Foy Castillo, who retired effective today. A Republican, Kennedy first was appointed to the appeals court in 1999 by then Gov. Gary Johnson. Previously Kennedy served as an Albuquerque Metro Court judge for 11 years. He chaired Bernalillo County's DWI Planning Council where he helped lead the creation of a $2.5 million alcohol treatment center at the Bernalillo County Jail. 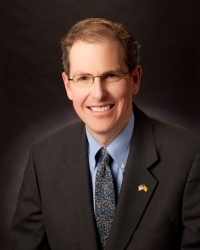 According to his biography on the Court of Appeals web site, Kennedy is internationally known for his expertise in the interface between law and science, and is a published author and lecturer on the subject. As the U2 song said, "All is quiet ..."
I was out for a little more than a week, but here's some of the political stories I've had published recently. 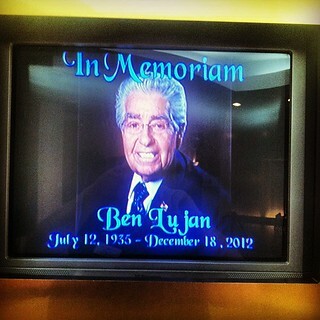 I wrote about the Roundhouse memorial for the late Speaker Ben Lujan HERE. And, just before Christmas, I did a profile of the soon-to-be-former U.S. Sen. Jeff Bingaman HERE. In cast this turns out to be my last Roundhouse Round-up blog post of the year, HAPPY NEW YEAR !!! Keep following this blog through the upcoming session. It was early one cold morning during the Legislative session. I forget the year, but it was sometime before they built the parking garage across Don Gaspar Avenue from the Roundhouse, back when you had to search for parking places several blocks away. I was getting close to Paseo de Peralta when my cellphone buzzed. When I answered, there was a familiar voice. In my own defense, everything in the story wasn’t wrong. There were just some points about whatever issue it was that Luján wanted to make. And I let him make those points in a follow-up article the next day. I thought about that call last Thursday at Luján’s memorial service in the Capitol Rotunda. The 77-year-old legislator died Dec. 18 following a lengthy struggle with lung cancer. That’s not the only time Ben Luján took issue with some story I’d written. He never was shy about calling personally and discussing a story with a reporter. He always was calm, never accusatory. And the next time he saw you, he always was friendly and cordial. That’s the kind of leader Luján was. That’s the Ben Luján I’ll remember. Luján’s first session as speaker: I began covering the Legislature in late 2000, right after Luján’s predecessor, Raymond Sanchez, was defeated for re-election. Luján, who had served as Democratic floor leader under Sanchez, was nominated by the Democratic caucus for the speaker’s position. Of course, it wasn’t really Raymond Sanchez. But the quip illustrated a common perception that the new speaker had some big shoes to fill. That was true. But it didn’t take long for Luján to begin making his own mark as speaker. Hugs, not thugs: At one point during that 2001 session, the state chairman of the Republican Party in a news release referred to Luján as a “thug enforcer” for Sanchez. This prompted a backlash on the House floor — not only from Democrats, but Republicans as well. Attempted coups: Of course it wasn’t always a love fest when Luján was speaker. He survived two attempted coups against him. One came in 2005 when Martinez, the Democratic floor leader from Grants, challenged him for the job. Some Democrats at the time complained that Luján was too heavy-handed, which Luján denied. Luján survived that caucus vote and by all accounts worked well with Martinez for the rest of his time in the Legislature. Then in 2010, after Democrats lost eight seats in the House, then-Rep. Joe Cervantes of Las Cruces tried to forge a coalition with House Republicans to oust Luján. Ironically, however, Luján was saved by Tea Party groups, who made it known to GOP representatives that they didn’t want any Republican to vote for Cervantes or any Democrat for speaker. Yes, I’m going to miss Ben Luján. Even his calls when he was mad at me. Kind words for the late House Speaker Ben Lujan began pouring in from various politicos who knew and worked with him. Ben Lujan was a giant in New Mexico politics and government. He will go down in history as nm greatest speaker. His legislative contributions were far reaching as he authored major legislation on health care education roads and taxes. He singlehandedly ushered the end of the onerous food tax and lowered taxes for every New Mexican. Last night a great friend and an individual that I respect immensely passed away. 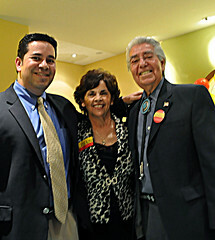 Speaker Ben Lujan was a giant in New Mexico politics, and a fighter for New Mexico's families. He fought for the poor, elderly, and underprivileged. He worked tirelessly for veterans, affordable healthcare, worker rights, high wage jobs for New Mexicans and so many more great endeavors. 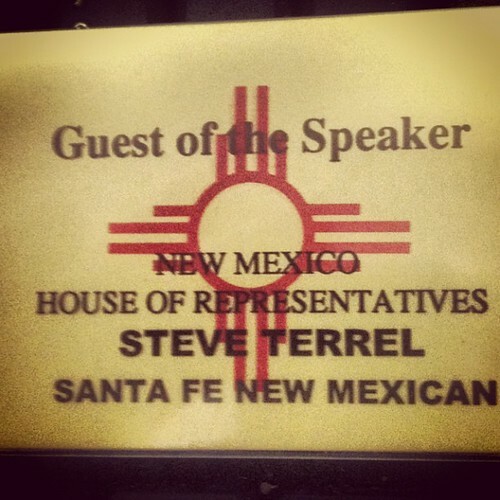 He will go down the in history books as one of New Mexico’s best Speakers. The entire State of New Mexico has benefited from his strong leadership. His big smile and calming leadership will be missed in New Mexico's roundhouse. We in the Democratic Party of New Mexico mourn the loss of the Speaker. I mourn alongside the Lujan family in this tough time. Our thoughts and prayers go out to Carmen, Congressman Ben Ray Lujan Jr, and the rest of the Lujan family. Our thoughts and prayers go out to the Lujan family. We offer our sincere condolences to all who had the pleasure of calling Speaker Lujan a family member, a friend and a colleague. His decades of service to New Mexico and the legacy of leadership he left behind will long be remembered across our state. Our state lost a great leader, and a great friend, yesterday with the passing of Speaker Ben Luján. For over four decades, Ben was a tireless advocate for the people of New Mexico. Ben was a dedicated public servant, and even a devastating illness could not deter him from the job he had committed to do. He remained steadfast in his service to the people of our state, and he was an inspiration to all who knew him. Ben came of age in the Great Depression. He knew poverty and hard times first hand. He never forgot where he came from, and he was always a champion for the less fortunate among us. He was a tenacious fighter for education, for workers, for Native Americans, and for health care. His principles illuminated his life, and brightened the lives of all who knew him. Ben once said, 'Let us make our time on Earth… worthwhile, and do what’s right, and make a difference for the children, our working families, and our elderly.' He lived up to that challenge throughout his life, and he leaves behind a remarkable legacy of service to New Mexico. I was proud to call Ben Luján my colleague and my friend. Jill and I will miss Ben. We extend our deepest condolences to Carmen, and to Shirley, Jackie, Jerome, and Congressman Ben Ray Luján, and all the Luján family. The entire Lujan family, including my colleague Ben Ray Lujan, are in my thoughts and prayers today. Speaker Ben Lujan will live on through his decades of service to New Mexico. And I've some tweets from legislators. What an honor to learn the ropes in the state House from Speaker Ben Lujan. Our familys thoughts and prayers go out to Carmen. I hope we take time for a thought or prayer for the Lujan family. The Speaker's passing is a huge loss; he'll be greatly missed. What a legacy he left. I was proud to serve with Speaker Lujan and send my love to the family. New Mexico House Speaker Ben Luján died late Tuesday following a lengthy struggle with lung cancer. His longtime chief of staff Regis Pecos said Lujan died St. Vincent Hospital, where he had been admitted Sunday with respirator problems. He was with his wife Carmen Luján, his son Congressman Ben Ray Luján and other family members, Pecos said. "I think he was waiting for his grandson to arrive," Pecos said. His grandson Dominic Valdexz is a soldier stationed at Fort Campbell, Kentucky. Luján, a Democrat from Nambé, announced early this year that he wouldn’t seek re-election for another term because of his medical condition. He has been House speaker since 2001. House Democrats recently nominated Rep. Kenny Martinez of Grants to become the next speaker. Note: I'm on vacation, so there probably won't be much action on this blog until after Christmas unless something really big breaks. But have a safe and joyful holiday. For one brief shining moment last week, it seemed that New Mexico was the center of the universe for political humor. Get rid of New Mexico. Nice. But before Land of Enchantment boosters start sputtering all over each other’s umbrage-taking, I’d better explain that The Onion is a satirical publication. I know that explanation isn’t necessary for the overwhelming majority of the highly intelligent, hip and savvy readers of this column. “I just cannot believe what I was reading,” the politician blogged. Well, her initial instinct was right. Had only she stopped there. 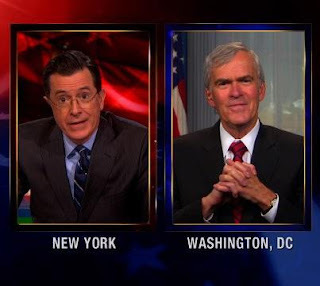 Wedgies for congressmen: So there was this Onion mention, and then later in the week, our very own U.S. Sen. Jeff Bingaman, who will retire at the end of this month, appeared on Comedy Central’s The Colbert Report. I know what you’re thinking. Jeff Bingaman is hardly the funniest man in the U.S. Senate. That honor probably would go to Sen. Al Franken, D-Minn., though since he got elected in 2008, the former Saturday Night Live star seems to have made a determined effort to become just as low-key and serious as, well, Jeff Bingaman. Then again, nobody’s ever said Bingaman is humorless. His wit is just a bit more dry than you normally see on late-night TV. Bingaman didn’t break character on The Colbert Report. With a straight face, he played straight man to Stephen Colbert, whose recent shtick is that he’s trying to get the governor of South Carolina to appoint him to fill the seat of retiring Sen. Jim DeMint. Indeed, Anne Bingaman, a lawyer, retired lobbyist and investor, has been successful. Last year, according to Bingaman’s required financial disclosure, he and his wife’s personal assets totaled somewhere between $6.8 million and $25 million. “So I should marry rich?” Colbert asked. “You need to marry rich. For sure,” Bingaman said. Colbert asked if senators have the power to “walk up to anyone in Congress and give them a wedgie.” Bingaman responded, “Uh, yeah, I guess I do.” He didn’t elaborate. If Bingaman were running for anything again, an unscrupulous political consultant — not that we have any of those around here — might be able to craft an attack ad from that one. But remember, it was only a comedy show, folks. Outgoing Sen. Jeff Bingaman gave his farewell address to the Senate today. Below is the video of the speech and below that is the text of the speech. Unlike his appearance on the Colbert Report last night, he doesn't mention the Senate steam room. “I came to the Senate two years later in 1983 with the firm belief that in most cases his statement was wrong. “I believed then and I believe now that the federal government can be a constructive force for good; in protecting and maintaining the civil liberties of all Americans, in maintaining and strengthening our economy, in protecting our environment and in helping Americans live productive and fulfilling lives. 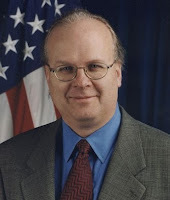 “As I look back over the last 30 years, many of the arguments that have consumed our time here in the Senate, whether on questions of spending or taxes or regulation or fiscal policy, have divided between those who saw government as the problem and those who believed that it could and should be a constructive force for helping the American people deal with problems. I consider myself, furthermore, in the second camp - firmly in the second camp. “As regards our Nation's security from foreign aggression, the end of the cold war and the collapse of the Soviet Union were clearly the most positive developments that we have seen in the last 30 years. “If the end of the cold war was the most positive national security development that I’ve witnessed since coming to the Senate, the invasion of Iraq to bring about regime change in that country was the biggest national security blunder. That blunder cost our nation dearly in servicemen and women killed and injured and in resources that should have been used to strengthen our economy here at home. Last month I was stopped by a woman in northern New Mexico who thanked me for my service in the Senate and particularly for my vote against granting President Bush authority to take our country into that war. “The nation's fiscal policy is very much the focus of the Senate's attention in these final weeks of the 112th congress. And on this issue, again, we have made one step forward during the time I’ve been in the Senate but, unfortunately, we've taken two steps back. “I arrived in the Senate in January of 1983 - a period of large deficits compared to anything the country had experienced for several decades. And those large deficits grew and persisted through the Reagan presidency. “In 1990, the democratically controlled congress and President George H. W. Bush made a significant step towards reining in the deficits with the Reconciliation Act of 1990. That law created the statutory PAYGO requirement. It also increased marginal rates for the wealthiest Americans, and I was proud to support the measure. “In 1993, another major step was taken when, at the urging of President Clinton, Congress enacted the Omnibus Budget Reconciliation Act of that year, 1993. Again, that measure both raised taxes and constrained spending. It was denounced by many here in the Senate as sure to throw the economy into recession. “In fact, just the opposite occurred, and the economy prospered. As a result of these policy changes and the strong economy of the 1990s, we enjoyed a period of balanced budgets and even surpluses in 1998, 1999, 2000 and 2001. “Unfortunately, those surpluses were not to continue. President George W. Bush urged Congress to cut taxes and Congress was all too willing to oblige. And though I didn't support the 2001 or 2003 tax cuts, they were passed. “At about the same time that we were cutting taxes more than we could afford, we were also going to war in Afghanistan and in Iraq, and adding a new drug benefit to Medicare. No provision was made to raise revenue or cut spending elsewhere to pay for any of these mammoth undertakings. And of course the cost of health care, both the cost to government and to families and businesses to purchase private insurance, continued to grow at too rapid a pace. “The result was a return to large deficits and, of course, those large deficits grew substantially larger because of the recession that began in December of 2007. “Today we're trying to strengthen our economy while at the same time trying to reduce projected deficits. That long-term deficit reduction will once again require higher taxes and also new constraints on spending, and I hope that even in these final days of this 112th Congress we can reach agreement to proceed. “In the long-standing fight to provide Americans with access to affordable health care, we have seen significant progress. “In 1997 we enacted the Children's Health Insurance Program, which resulted in nearly 8 million American children obtaining access to health care. “And of course, in 2010, we adopted the Patient Protection and Affordable Care Act. This unfairly maligned legislation has the promise of moving us much closer to the goal of universal health care, and I am proud to have worked with my colleagues in the Senate in writing that legislation and seeing it enacted. “Now that the election is behind us, I hope the efforts to repeal that legislation is at an end. I hope the two parties can find ways to improve the legislation with a particular focus on better controlling the growth in the cost of health care. “In addressing the various energy challenges facing the country, again, there's progress to report. “In 2005 and 2007, Congress enacted major energy bills. Those bills moved us toward a better and more comprehensive national energy policy. Those bills promoted an adequate and more diverse supply of energy. They increased the efficiency and effectiveness of how we use energy in our economy. They promoted strong market reforms and consumer protections for electricity, and they struck a balance between meeting our energy goals and lessening environmental impacts of energy, including overall greenhouse gas emissions. As a result of that balanced approach, we have arrested what had been an increasing dependence on foreign oil, coupled with technological advances that have opened new sources of supply. We're headed to greater levels of energy independence than we had thought possible, even as recently as seven years ago. “The bipartisan consensus that allowed us to enact those bills has, unfortunately, eluded us in the current Congress. I hope that in future Congresses there will reemerge a recognition that climate change is a reality, that our policies to meet our energy needs must also deal responsibly with environmental issues, including the damage caused by greenhouse gas emissions. “As regards our nation's policy on education, the good news is that we seem to have moved past the period where the Republican nominee for President announces a commitment to eliminating the federal Department of Education. “President Clinton deserves great credit for making the support particularly of higher education a priority of his presidency. President George W. Bush deserves credit for making a serious effort to preserve and improve elementary-secondary education. “Although that effort has not succeeded, as many of us who supported it had hoped, I remain persuaded that the federal government needs to persist in trying to play a constructive role in improving education in this country. “The states and local school districts deserve credit for developing and adopting the common core standards. I hope that future congresses will strongly support the steps and the funding needed to upgrade student performance by implementing those standards. President Obama and his administration have demonstrated their strong commitment to this goal. “In addition to these areas of concern that I’ve mentioned, we have seen some progress in maintaining and advancing the science and engineering in this country. We successfully found ways to better integrate the strengths of our defense laboratories through technology transfer and partnering. We've also seen some important increases in funding for research, particularly in support of the life sciences. And that growth has stagnated in recent years. It needs to continue and be replenished. But as we continue that support, we must also recognize the need to do more to support research and development in the physical sciences and in engineering. “One significant advance I was proud to support was the establishment of ARPA-E, the Advanced Research Projects Agency- Energy in the Department of Energy. That effort to identify and fund breakthrough science and engineering initiatives to meet our energy challenges holds great promise for our nation and for the entire world. “We've also seen progress in providing increased protection for public lands. One particular bill in that area was the Omnibus Public Lands Bill that was passed in 2009. It added wilderness protection to over 2 million acres, it designates 1,100 miles of wild and scenic rivers, added more than 2,800 miles to the national trail system, and I was proud to be part of the effort to enact that legislation. “Finally, I’ll make a few comments on the way that we in the Congress conduct our own business. Any fair assessment has to conclude that in this area we have lost ground in the last two decades. Public opinion of the performance of Congress is at an all-time low, and it is not hard to see why. I'll mention three obvious ways in which the functioning of Congress has worsened. “First is the willingness of some in Congress to shut down the government. In 1995 we saw the leadership of the House of Representatives demonstrate that they considered refusing to fund the government as an acceptable bargaining ploy in their efforts to prevail in disputes with President Clinton and Democrats on spending issues. “Since 1995, that threat to withhold appropriations has been made several more times, and as we saw then, shutting down the government is harmful, wasteful to Americans. I hope this irresponsible threat will soon be viewed as unacceptable. “A second way the malfunctioning of Congress became clear is when in August of 2011 - just less than 18 months ago - the Republican leadership in Congress determined that another tool at their disposal was the ability to refuse to increase the debt ceiling. By doing so, they could deny the Secretary of Treasury the authority to borrow money to meet the obligations that the government had already undertaken. To my knowledge, this was the first time the Congressional leadership of one of our major parties had stated their willingness to see our nation default on its debt. “This threat to force a default on the obligations of the federal government resulted in the sequester of government spending, which is scheduled to begin January 1. It also resulted in a downgrading of U.S. debt by one of the leading credit rating agencies. “We now hear renewed threats to use the so-called “leverage” as a way to demand cuts in Medicare and in social security. Once again, I believe this is an irresponsible action. I hope Congress will get beyond it. “But of course a third way in which the functioning of the Senate - not the full Congress, but the Senate - has worsened is the abuse of Senate rules allowing unlimited debate or filibusters. As the Senate currently operates, the threat of filibuster is used routinely to obstruct the Senate from doing its business, even when the issue before the Senate is relatively uncontroversial. Many times following a delay caused by obstruction, an overwhelming number of Senators will vote for the legislation or the nomination, which the Senate has been delayed in considering. “I strongly encourage my colleagues to make the necessary changes in Senate rules to limit the ability of one or a few Senators to obstruct the Senate from doing its regular business. My colleague, Senator Udall, is here on the floor with me. He's been a leader in this effort to get these rules changed, and I commend him for that. “So the record of our progress both as a country and as a congress over the last 30 years has been mixed. There's progress to report. I've mentioned some of that. There are also many missteps and failures that we need to acknowledge. “My conclusion remains that many of our challenges as a nation can only be met with the help of a strong and effective national government. There are times when the actions of the government are more a problem than a solution, but there are many more occasions where enlightened action by the government is important and even essential. “I consider it an honor and a privilege to have represented the people of New Mexico in the Senate for the last 30 years. I thank the people of my state for their confidence in electing me and supporting me during the time I have served here. I thank the very capable and committed men and women who have worked on my staff both in Washington and in New Mexico during these 30 years. “And I thank all my colleagues here in the Senate for their friendship and help to me during this period. “Of course I thank my wife, Anne and our son John and his wife Marlene for their support that allowed me to serve in the Senate. You might not think of Jeff Bingaman as the funniest guy in the U.S. Senate. 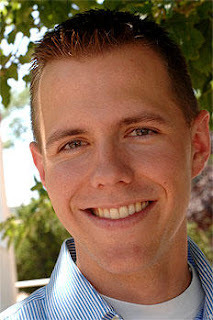 But apparently New Mexico's outgoing senior senatot will appear night on Comedy Central -- The Colbert Report to be exact. It was on the Senate Energy & Natural Resources news release about committee assignments. Colbert is conducting a mock campaign to get appointed to South Carolina Sen. Jim DeMint's seat. 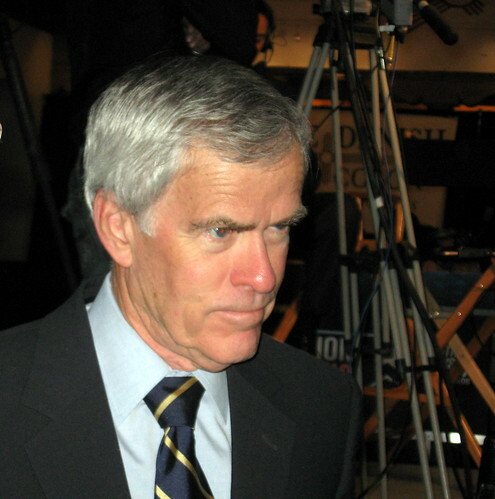 My source suspects Bingaman will be talking about what it takes to be a senator. New Mexico's two U.S. senators today found out what committees they probably will be assigned to. .
Sen. Tom Udall will be serving on the Senate Appropriations Committee. He also got assigned to the Foreign Relations, Environmental & Public Works, Indian Affairs and the Rules & Administration committees. Newly elected senator Martin Heinrich got a seat on the Energy Committee, currently chaired by outgoing Sen. Jeff Bingaman. He also got a spot on the Intelligence Committee and the Joint Economic Committee. These were the choices of the Senate Democratic Steering Committee, which are subject to approval by the full Democratic caucus, then approval of an organizing resolution by the full Senate when the 113th Congress convenes next month. UPDATE: 5:10 p.m. U.S. Rep. Ben Ray Lujan's office announced that Lujan has been appointed to the House Energy & Commerce Committee, which deals with issues in the areas of telecommunications, consumer protection, food and drug safety, public health research, environmental quality, energy policy, and interstate and foreign commerce. 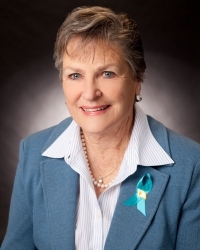 This just in: Sen. Mary Kay Papen, D-Las Cruces just told me she's considering keeping in the race for Senate president pro-tem. The Democratic Caucus on Sunday nominated Sen. Pete Campos of Las Vegas for that top position. Papen, as well as Sens. Howie Morales of Silver City and Linda Lopez of Albuquerque, also tried for the nomination. The exact vote count was not made public. But to win the nomination, Campos needed at least 13 votes from the 25 Democratic senators and senators-elect. That means in order for Papen to win, she would need support from Senate Republicans. But Papen -- like Campos did Sunday night -- said she'll be talking with Republicans and Democrats seeking support for the job. The vote will take place when the Legislature convenes in mid January. My story about the pro-tem battle in today's New Mexican is HERE. Note from the Future: Although the date of this column is Dec. 10, 2012, I'm actually posting this column in May 2013. I just realized I must have forgotten to post it in December. I changed the date so it would be in proper order on the blog. Probably a weird obsession I could do without, but what the heck. Here it is for what it's worth. Better late than never. Nobody really believed that former Corrections Secretary Lupe Martinez just decided on her own to resign last year. But now emails to and from Martinez indeed show that she indeed was forced out. I obtained the emails last week from an Inspection of Public Records request made to the Corrections Department months ago. They are all on Martinez's state email account. Lupe Martinez's abrupt resignation came just six days after Larry Flynn, her boyfriend who lived with her on the prison grounds, prompted a police investigation by shooting a gun on the state prison grounds south of the city. Flynn, who was at the time an official with the state probation and parole office, said that he had been firing at a nest of rattlesnakes he had found under a doghouse. At the time, Flynn was on administrative leave because of allegations that he padded his time card. In his statement to corrections officers who arrived after hearing gunshots, Flynn said he first had tried to kill the snakes with a hoe. When that didn't work, he got his pistol. "Question will be, 'why a gun and not simply the hoe, ' " Martinez told him in an email. In a follow-up, she said, "You didn't mention about the conversation with police or with [corrections officers] and what they saw." Flynn eventually was fired. Recently, he dropped his wrongful termination action against the state. On Aug. 30, former Deputy Corrections Secretary Gail Oliver wrote an email to Gov. Martinez and others saying she was concerned, based on conversations with prison staff, that Flynn had received special treatment. Lupe Martinez, who forwarded the mail to another Corrections official, commented, "I cannot believe this. This is BS." But the governor ordered state police to investigate the shooting incident. That was on a Wednesday. By Friday afternoon the governor called Lupe Martinez for a meeting. At 3:04 p.m., Lupe Martinez emailed Jim Brewster, the department's general counsel, saying, "Wish me luck at Gov." Brewster replied two minutes later, "Absolutely. Good luck. Are you going there now? And do you know exactly what the meeting is about?" Lupe Martinez responded, "I got a call directly from her and [was] told to come over right now. Have been waiting for about 30 minutes." She said others were waiting also. Brewster replied, "Well, the fact that others are presumably waiting to see her at the same time could be a good sign -- it's not directed just [at] you. Again, Good luck." Apparently it wasn't a good sign for Lupe Martinez. At 3:38 p.m. she emailed Brewster again. "Please meet me in office." We don't know exactly what was said at that meeting with the governor or the exact reason for the resignation. But Lupe Martinez was out. She emailed a friend in the department at 3:55 p.m. to thank her for her friendship and loyalty. "Please tell me you're not resigning, " the friend replied. "Not by choice, " Lupe Martinez responded. At 4:43 p.m., she emailed Albuquerque attorney Mary Torres. "Can I please speak to you emergency, " was the message. The subject line was "Help." Torres responded at 6:12 p.m., "I am charging my cell ... Are you OK???" There was no response from Martinez on her state email. The Governor's Office sent out a news release about the secretary's departure after 5:30 p.m. The news release announcing her departure never actually said Lupe Martinez wanted to "spend more time with her family, " as the cliché goes. But it was kind of implied. "Ms. Martinez will return to Las Cruces, near her family and son, and she intends to apply for the warden position at Southern New Mexico Correctional Facility." She didn't get that job. At a closed-door caucus meeting in Belen today, state Senate Senate Democrats nominated Sen. Pete Campos of Las Vegas, N.M. for the top position in the body. Campos, who has been in the Senate for more than 20 years, defeated four others in the contest to replace Senate President Pro Tem Tim Jennings, who was defeated for re-election last month. Also running for the position were Linda Lopez of Albuquerque, Mary Kay Papen of Las Cruces and Howie Morales of Silver City. The entire Senate elects its president pro-tem. That will be done when the Legislature convenes in January. Campos said Sunday he was honored by the nomination. “I plan to be reaching out to every member of the Senate,” he said. “I’ll be calling every one.” An educator, Campos is the president of Luna Community College in Las Vegas. He currently is a member of the Senate Finance Committee. Also on Sunday, the Senate Democrats re-elected Sen. Michael Sanchez of Belen as Democratic floor leader. Sanchez was unopposed for the position. Democrats also elected Sen. Tim Keller of Albuquerque as whip and, in an unusual move, freshman Senator-elect Jacob Candelaria as caucus chairman. Normally freshman lawmakers do not win leadership positions. Longtime Senate Democratic Whip Mary Jane Garcia of Dona Ana was defeated for re-election in the general election, while current Caucus Chairman David Ulibarri lost his primary race. The president pro tem is considered the top position for a senator. But the job isn’t considered to be as powerful as that of the speaker of the House. The president pro tem gets to preside over the Senate when the lieutenant governor —the official president of the Senate — is away. But the main power of the president pro tem is getting to name and preside over the Committees’ Committee, which selects committee members and chairpersons. Sen. Carlos Cisneros of Questa, who last month said he would vie for pro-tem job, did not run. Instead, he nominated Campos. “I’m very grateful for his kind words when he nominated and I’m grateful he was willing to do what he did,” Campos said. Campos and others interviewed Sunday said they didn’t know the number of votes each pro-tem candidate received. Under caucus rules, the winner had to get a majority of members plus won. Because there will be 25 Democrats in the Senate, that number is 13. It’s not clear yet whether any of the runners-up will attempt to form a coalition with the 17 Republican senators to win the pro tem position. It will take 22 votes on the Senate floor to win the position. This is the route Jennings took to win the position four years ago. In late 2008, Jennings lost the Democratic Caucus nomination to Cisneros for the pro tem job. But because that position is elected by the full Senate, Jennings was able to form an alliance of conservative Democrats and all Republicans to win the post when the Legislature convened in January 2009. Senate Republicans are expected to vote on their leaders this week. Nobody is expected to challenge Senate GOP leader Stuart Ingle of Portales or Whip Bill Payne of Albuquerque. Democrats in the House of Representatives are expected to choose their leaders on Friday. House Majority Leader Kenny Martinez of Grants is expected to get the nod for speaker of the House, replacing current Speaker Ben Luján, D-Nambé. Two House Democrats, Debbie Rodella of Española and Rick Miera of Albuquerque, have said they are running for the majority leader job. Scott Darnell, who has served as Gov. Susana Martinez's director of communications since the beginning of her administration, has been named deputy chief of staff. Darnell will be replacing Ryan Cangiolosi, who last month resigned to take a job with the University of New Mexico. Before taking the spokesman's job with Martinez, Darnell had served as a spokesman for the state Republican Party. Enrique Knell, who has been serving as spokesman for the Children, Youth & Families Department, will take Darnell's place as communications director. Longtime reporters remember Knell for his work with Heather Wilson when she was in Congress. Darnell will be paid $95,000 a year. Knell will make $80,000. The changes will take place Monday, Darnell said. It looks like Gov. Susana Martinez won't have to give a deposition in a wrongful termination suit after all. Larry Flynn, the former probation and parole official who was fired after firing a gun on state prison grounds last year, quietly dropped his suit against the state late last month. His notice is below. Flynn's lawyer, Sam Bregman, had subpoenaed the governor saying that she had intervened in firing Flynn, a classified state employee who was protected by state personnel laws. Flynn was living on the prison grounds with his girlfriend, then Corrections Secretary Lupe Martinez, who resigned shortly after the shooting incident. Flynn said he fired the gun to kill a couple of rattlesnakes who he'd found under a doghouse in his yard. Update 12-7-12 9 a.m. : Bregman called saying Flynn recently started working another job and wanted to "move on." The hearing officer in the case had ruled that Gov. Martinez did not have to give a deposition. 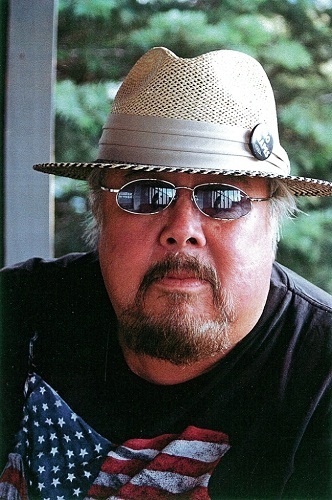 Roll Call is reporting that former New Mexico Republican Party Chairman Allen Weh is considering a run against U,S. Sen. Tom Udall in 2014. “As anybody should do when considering a move like this, you do your homework … and gather enough information to make a sound decision,” Weh said. 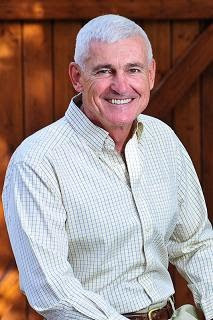 Weh, 70, ran for governor in 2010 losing a surprisingly bitter primary race to Susana Martinez, who went on to win the general election. Weh is a retired Marine colonel who owns an Albuquerque aviation company. Roll Call points out that, despite Martinez's 2010 victory, Republicans haven't fared so well here in statewide races. Obama won the state this year by 10 percentage points, while Martin Heinrich won his Senate race over Heather Wilson by six. But just in case, maybe Udall should brush up on his cooking skills. I had to write an obituary last night for an acquaintance I sincerely liked. I met Bob Pineda at the old Club International gym about 20 years ago. I'd always run into him, former County Commissioner Froggy Fernandez and others there in the sauna. Bob always made me laugh, dishing dirt on politics, talking about his latest theater project he was involved with and whatnot. I didn't see him as often after Club International closed. But when I ran into him, he was always full of cheer and gossip and usually involved in some creative endeavor. Like I told his daughter last night, he was the least boring certified public accountant I ever met. I'm going to miss. Roberto Enrique Piñeda was a playwright, a poet, a politician, an actor and a certified public accountant. He died Saturday from respiratory problems after a lengthy illness. He was 69. Roberto Piñeda was born to Frank and Alice LaRibbas Piñeda in Santa Fe in 1943. He earned a business degree in 1976 from the College of Santa Fe and became an accountant. That wasn’t his last top government job. He also worked as Santa Fe County manager, city manager of Las Vegas, N.M., and finance director for the city of Taos. He made at least a couple of stabs at electoral politics. In 1988, Piñeda was a candidate in the Democratic primary for a Santa Fe County Commission seat. In 2004, he ran for Santa Fe County treasurer but fell short in the primary. But accounting and government wasn’t his entire life. In the 1990s, Piñeda became involved with local theater. He acted in productions such as the Northern New Mexico Community Theatre’s 1996 production of The Madwoman of Chaillot and Teatro Hispano de Santa Fe’s production of El Pozito that same year. Piñeda also wrote a play called El Happy Hour, which was produced by Teatro Hispano de Santa Fe in 1997. He later became a member of the Screen Actors Guild and appeared in speaking roles in three movies shot in New Mexico. In 2000, he played a doctor in All the Pretty Horses. Later he portrayed Saint Paul in Tortilla Heaven and a railroad brakeman in The Flock. Piñeda is survived by his daughter and two sons, Joaquin Pineda and Robert J. Piñeda, six grandsons, his brother Arturo and his sister Dolores Chavez. A visitation is scheduled for 6 p.m. Friday, Dec. 7, followed by a rosary at 7 p.m. at Our Lady of Guadalupe Church, 417 Agua Fría St. A funeral Mass is planned for 10 a.m. Saturday, Dec. 8, at Our Lady of Guadalupe Church. Memorial contributions may be made in his name to the Carmelite Monastery, 50 Mount Carmel, Santa Fe, NM 87501. One early revelation in the interview -- our governor is a cat lady! Included is footage that didn't make it onto the broadcast.